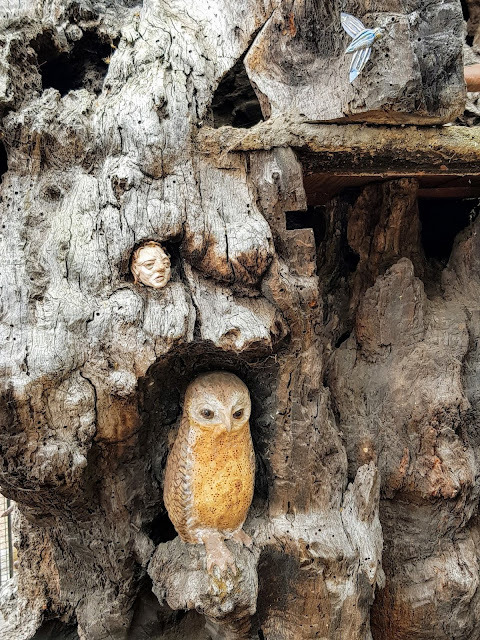 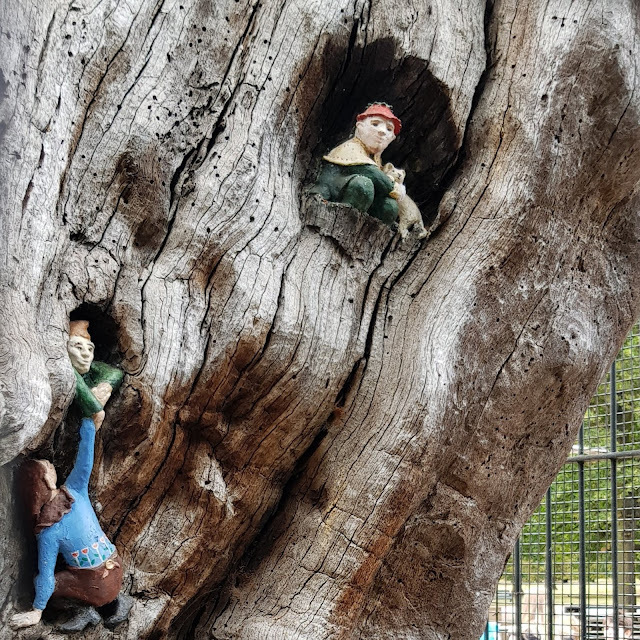 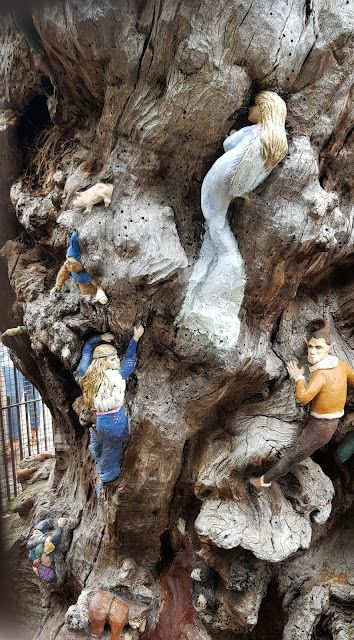 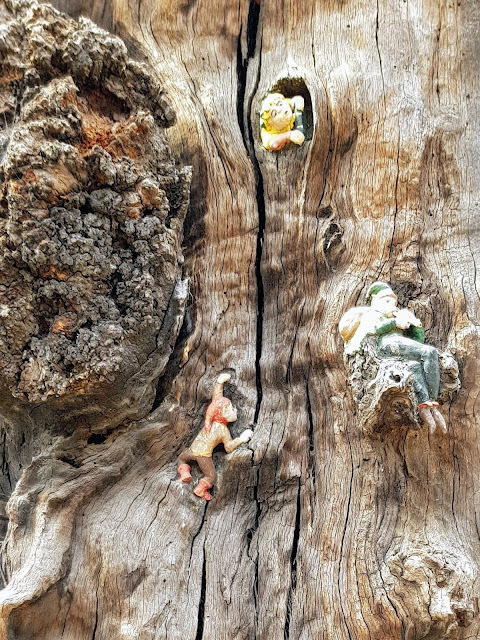 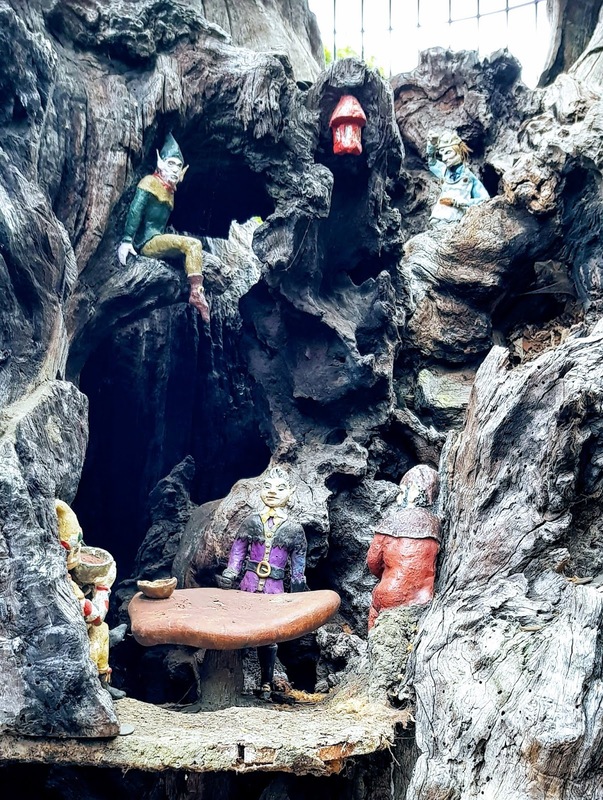 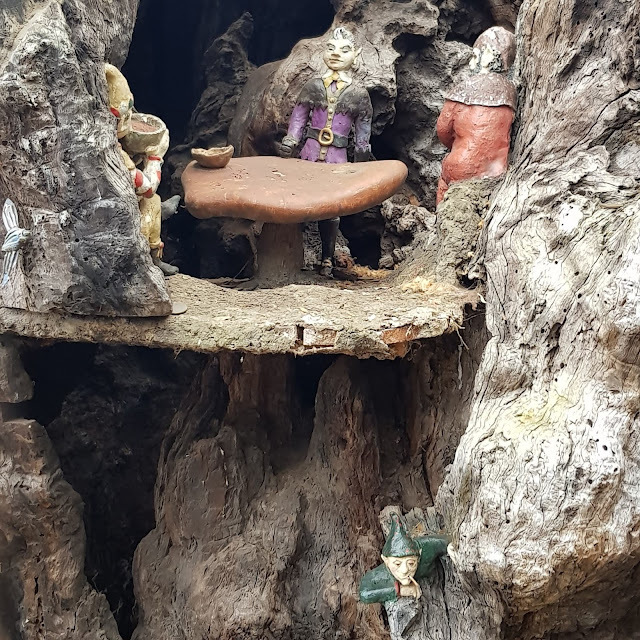 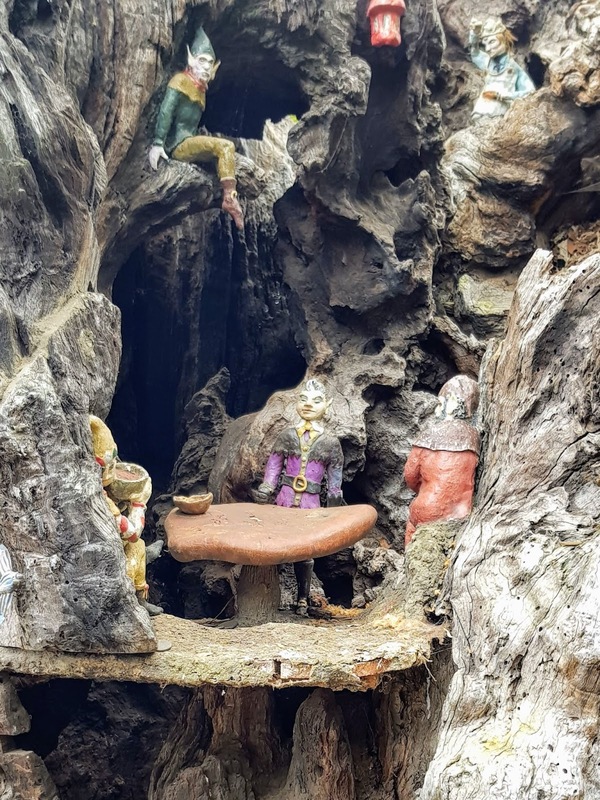 The Elfin Oak is sculpted on an ancient hollow oak tree, originally grown in Richmond Park. 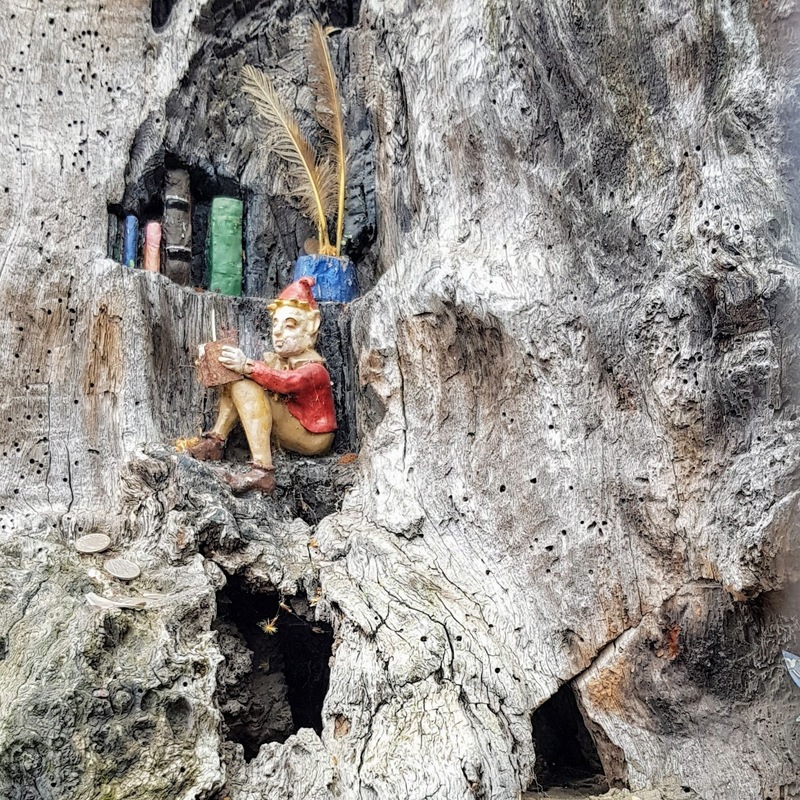 It was designed by Ivor Innes, in 1930. In 1997 it was made a Grade II listed structure.